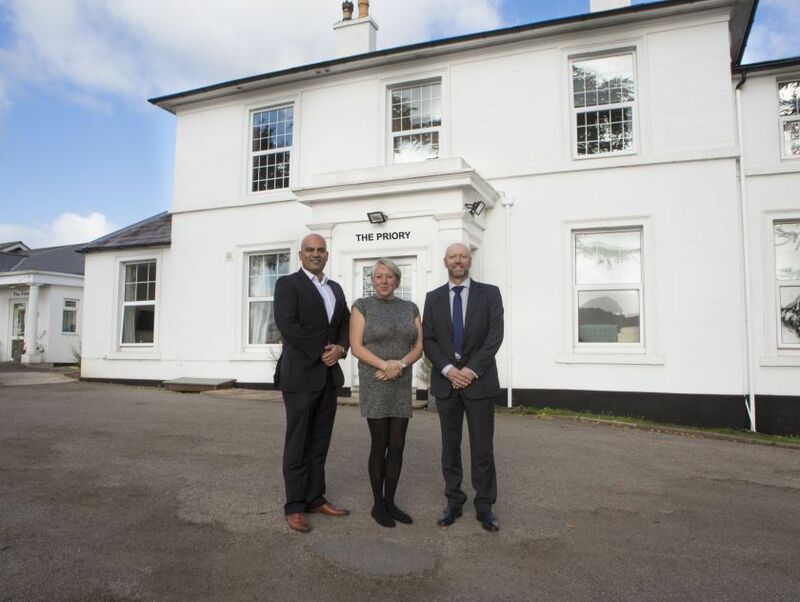 Long term healthcare proprietor Steven Singh, has invested £1,800,000 supported by Barclays to acquire The Priory Nursing and Residential care home at Springhill, Wellington. The investment will allow the retention of local jobs and peace of mind for the existing residents and their families. Steven Singh, company director said “We specialise in providing high quality nursing and residential care. Our aim being the provision of “best in class” care with added value to include quality food, excursions, craft and other activities or simply the time to have a conversation. "Demand for quality care is set to increase across the region and placements are already limited at the moment so our investment is vital to help meet the region's projected care needs. We have already committed to invest over £100,000 over the next 12 months to refurbish, renovate and make significant improvements to the building." Richard Bridgwood, Barclays business banking relationship director, said, “Barclays is committed to using our industry expertise within the healthcare sector to support such propositions, which are vital to a prosperous economy. By really understanding the care sector, Barclays has been able to provide debt finance to support the business. Steven continues, “We operate as an extended family, providing dedicated residential and nursing care to the very highest standards. With 37 beds we are big enough to make a difference but small enough to deliver individual tailored care. "Most people when asked don’t wish to live in a care home but when someone chooses to stay with us, we consider that to be a personal accolade and an opportunity for us to do everything to make that stay as happy and enjoyable as possible, with a dedicated supportive regime that specifically meets individual needs. "The best thing about running your own business is the empowerment to make swift decisions to improve services for our guests. Satisfaction from happy residents and family members makes all our efforts worthwhile. However, there is also an enormous responsibility knowing that both residents and employees depend on your ability to make the business a success.